Click the link of the host that you want to edit. The Edit a host page appears. Type the new timeout in the appropriate field of the Timeouts section. 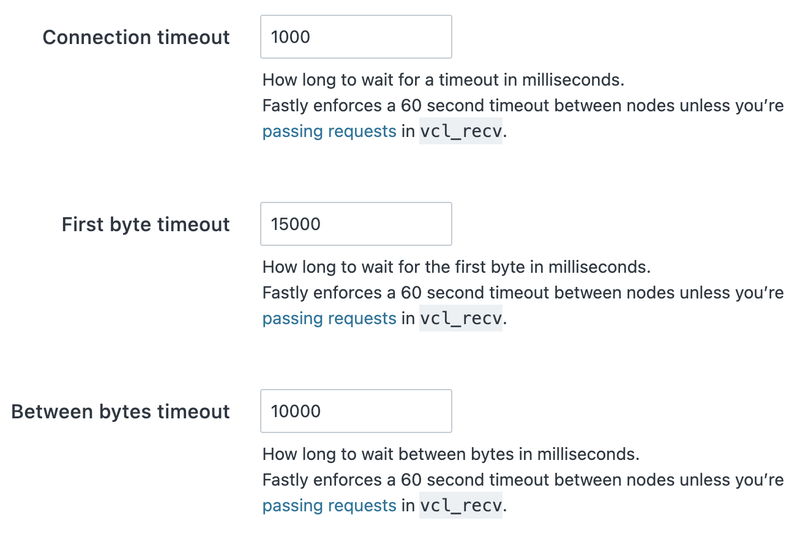 NOTE: Fastly enforces a 60 second timeout between nodes unless you're passing requests in vcl_recv. TIP: Additional techniques that help you gain insights into your service configurations can be found in our Debugging guides.